Following on from the success of the Safeguarding Awareness Month which took place in March 2018, the Cambridgeshire and Peterborough Safeguarding Children and Adults Board are now starting work to plan the campaign for 2019 which will take place in February. Once again the awareness month will involve both child and adult safeguarding themes. 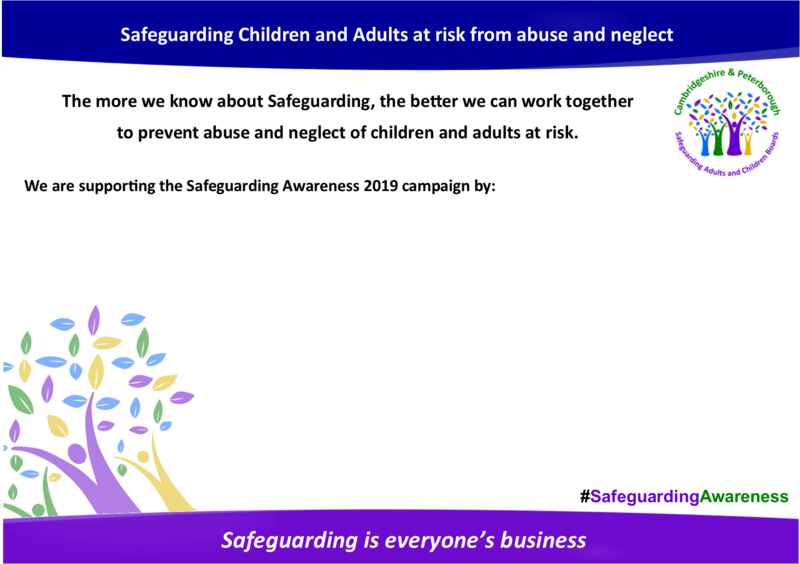 The Cambridgeshire and Peterborough Safeguarding Adults and Children Board have developed a number of campaign resources in conjunction with our partners to help raise awareness of ‘What is Safeguarding, how to spot the signs of abuse and how to refer.